Khenpo Pema Sherab taught on "Thirty Pieces of Advice from the Heart" in Lerab Ling during the All-Mandala retreat from 23-Aug-2009 to the 25-Aug-2009. The recordings contain the teaching in Tibetan with English translation by Gyurmé. 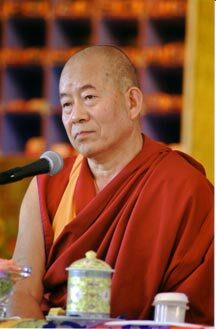 Available as podcast at: http://www.rigpawiki.org/Media/Audio/2009/LongchenpaLL/LongchenpaHeartAdvice.rss To automatically download all teachings on Longchenpa's Heart Advice with iTunes, select within iTunes: Advanced/Subscribe to podcast... and paste the podcast-link above. Be sure to select Download all episodes in Settings. This page was last edited on 28 December 2012, at 07:38.